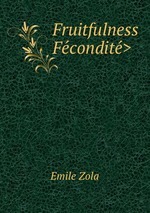 Emile Zola (1840-1902) was an influential French novelist, the most important example of the literary school of naturalism, and a major figure in the political liberalization of France. 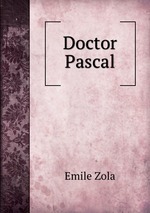 More than half of his novels were part of a set of 20 collectively known as Les Rougon-Macquart. Set in France's Second Empire, the series traces the 'hereditary' influence of violence, alcoholism, and prostitution in two branches of a single family: the respectable (that is, legitimate) Rougons and the disreputable (illegitimate) Macquarts, for five generations. 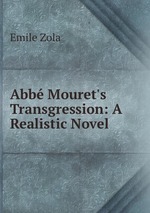 His works include Therese Raquin (1867), Germinal (1885), Abbe Mouret's Transgression (1886), The Three Cities, Part I (1894), The Three Cities, Part II (1896), The Three Cities, Part III (1898), Fruitfulness (1900), and A Love Episode (1905).